Hi everyone! Sorry for the lack of a post yesterday; my husband and I went Wednesday night to see the musical Wicked, and we did not get until quite late. I was too tired to wake up and write a post. If you ever get the chance to see Wicked on its national tour, I definitely recommend seeing it if you can! It was amazing, and even my husband enjoyed. Now to the polish... 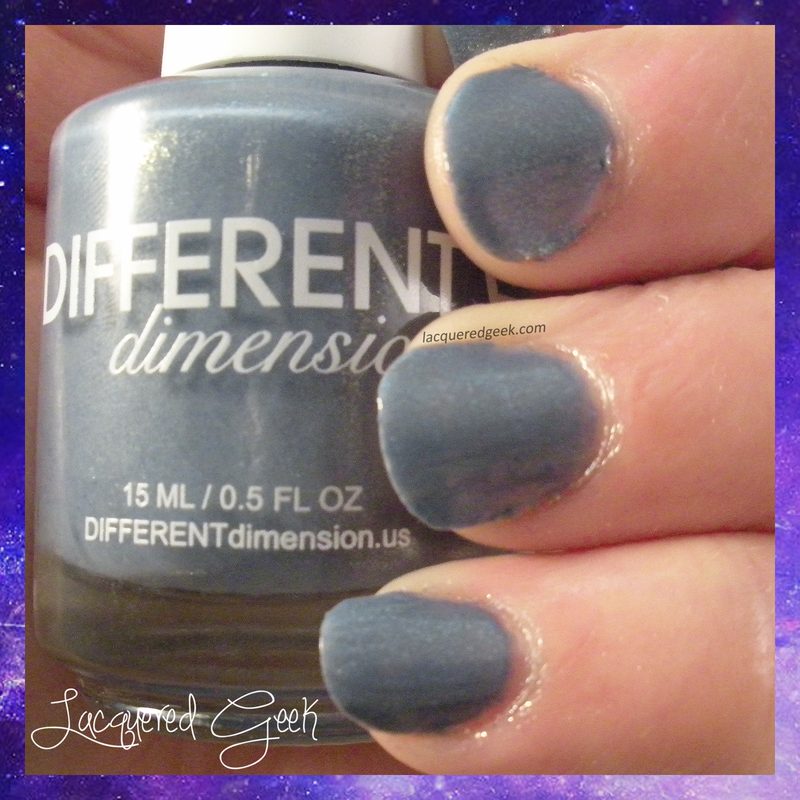 I want to share "Pluto Is Still A Planet To Me" from DIFFERENT Dimension's Cosmologically Speaking collection. Before I even saw this polish, I wanted it - simply for the name! 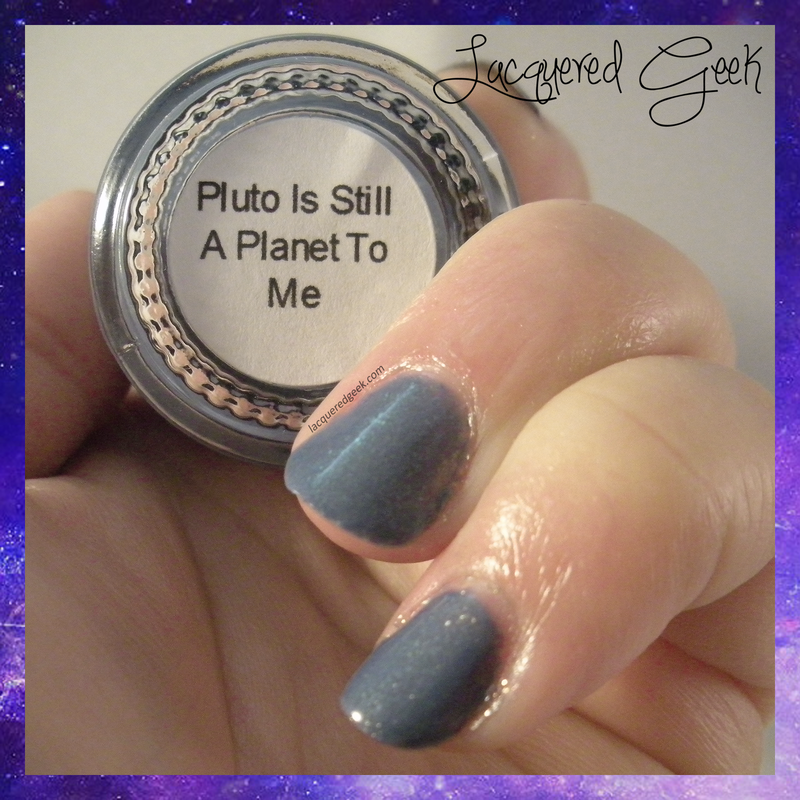 Pluto Is Still A Planet To Me is dusty denim blue polish with a golden-green shimmer. I really loved this color. It is pretty unique, and I do not have anything in my stash quite like it. Plus, well... I love the name! The formula was good, just a little on thick side. I used 2 coats for these photos. The first time that I wore this, I had a pretty hard time removing it. This time I used a peel off base, and had no problems. I tried to capture the shimmer of Pluto Is Still A Planet To Me, but I could not fully capture the beauty of it. 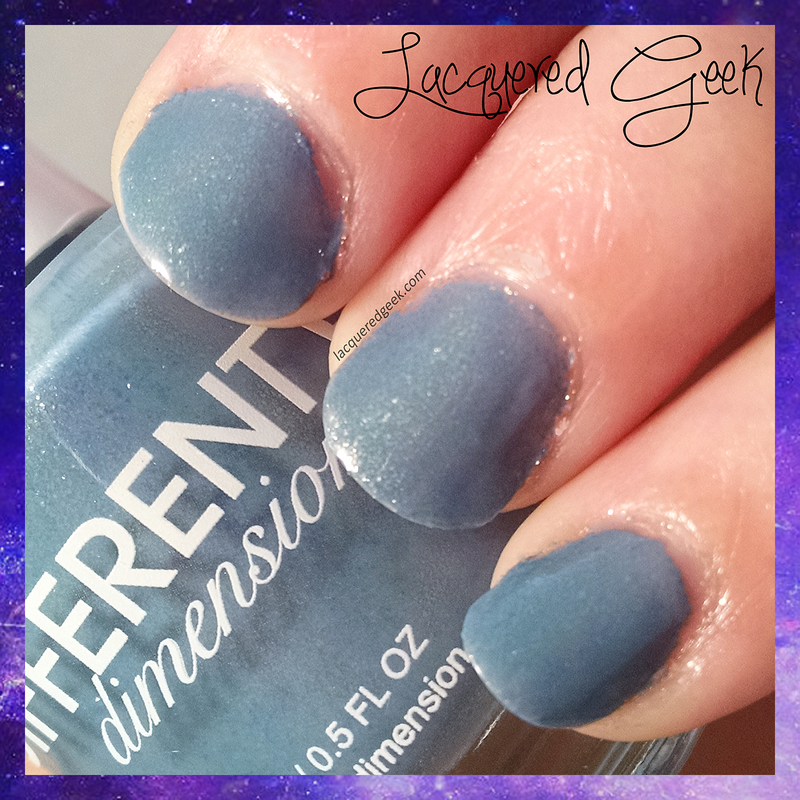 You can purchase this polish, along with other polishes and cuticle oils directly from DIFFERENT Dimension. Do you find yourself drawn to polishes strictly due to the name? 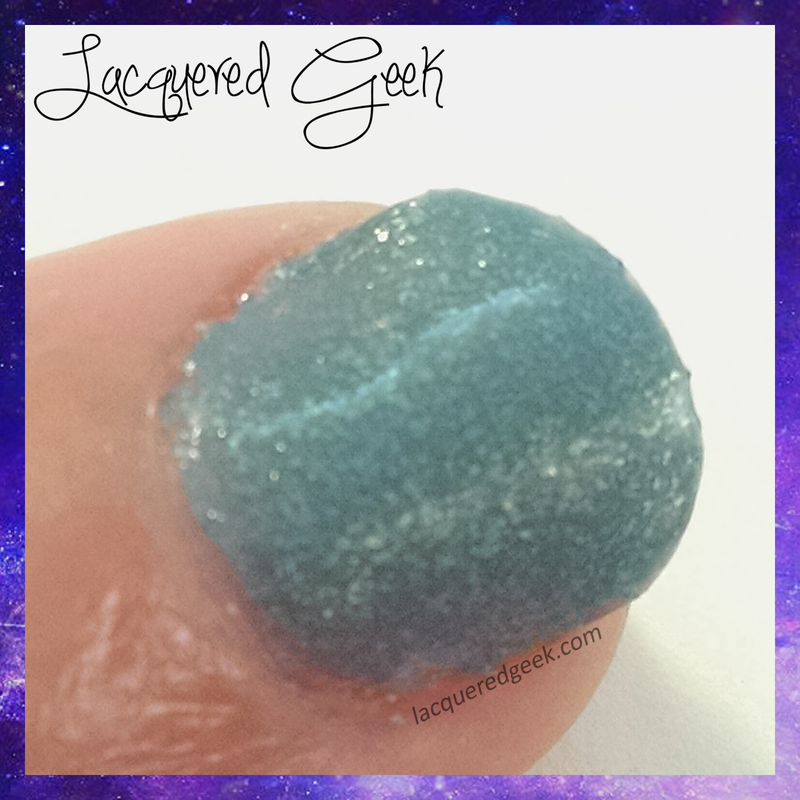 I love Pluto Is Still A Planet To Me, it's one of my favorite DD polishes.